Change doesn't have to be complicated for a musical group like Upstate to succeed. Drop a word here, add a voice there, and let the magic happen by releasing Healing, an 11-song declaration from a metamorphosed band that's willing to spread its wings and soar like a butterfly. 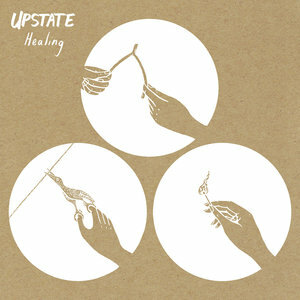 Upstate, which presents the exclusive album stream of Healing at PopMatters on Thursday, February 7, the day before the record release, isn't easy to pigeonhole, though. The New York State-based sextet brings luscious three-part harmonies to an appetizing party mix of genres and sounds that include folk, rock, swing, jazz, R&B and a whole lotta gospel soul. 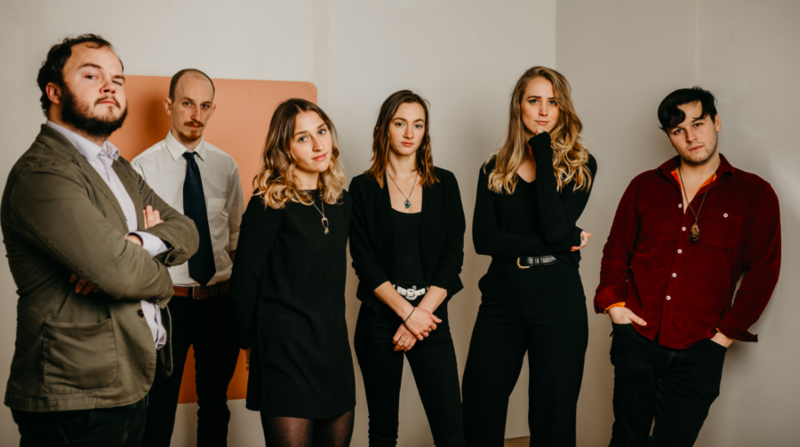 If Lake Street Dive had a long-lost doppelgänger, the arrival of Upstate is living proof that wonders never cease to exist — or amaze. So three women — Melanie Glenn, Mary Kenney, Allison Olender — and three men — Harry D'Agostino (bass), Ryan Chappell (mandolin), Dean Mahoney (cajón) — have come together in the latest configuration of the group that originally emerged in 2015 from New Paltz (in New York's Hudson Valley) as Upstate Rubdown. "Allison brought this new energy and a fresh perspective," Kenney said in a press release about Olender, Upstate's recent addition. "She came from this country-folk background as a singer-songwriter, and her presence definitely reinvigorated our musicianship and helped us hone in on where we were going." With the follow-up record to A Remedy, the 2015 debut, and a transfusion of new blood with Olender, who hails from Baltimore, then lived in Nashville for about three years, the band thought a simple slice to its name would complete the transformation. "As natural growth comes in life, I think it spilled over to the band," said Olender, who answered a few email questions for this article that accompanies the album stream. "Everyone was really excited to lose a word and gain an identity that reflected who we are as a group now. With all the changes in the band and a new record, a name change seemed fitting." Olender, who officially was added in August 2016 after vocalist Kate Scarlett decided to depart, first met Upstate's other members at the Homegrown music festival in Ozark, Arkansas, "and was blown away" by their performance. A few weeks later, "Melanie called me and asked me to join the band, to which I excitedly accepted," Olender said. "It took me maybe a full day to decide to move to New York." Previously a solo artist under the name Hushabye Baby, Olender released a six-song EP called The Good Fight in January 2016 ("My mom has had my solo CD only in her car for three years," she said). It didn't take her to long to embrace the group dynamic while recording Healing at the Clubhouse studio in Rhinebeck, New York. "There's been difficulties but the reward of playing music with this group of people is always worth anything we have to work through together," she said. "It's great to recognize how human we all are." Olender called Healing a "team project", where "each song really reflects each person in certain ways". But she did have an opportunity to write a couple of her own tunes — "Going Gone" and "I'll Be Fine" — while also cowriting "Weekend" with Glenn, whose own songs include "Who Knows" and "Young". "The process of this record was so amazing," Olender said. "The studio was a joy and our producer (and Wood Brothers percussionist) Jano Rix made recording fun and easy, and any challenges we faced were faced respectfully and professionally, especially because we respect Jano so much." Olender, Glenn and Kenney certainly bring the playful spirit of sisterhood to Upstate, along with a joyous vocal blend that can be smooth, cool or unusual, depending on the song. Olender points to artists like the Staves, Mountain Man, the Trio project (Dolly Parton, Linda Ronstadt and Emmylou Harris) and the Andrews Sisters as sources of inspiration and admiration. "Weekend" is a fun-filled romp, with voices whooping and hollering in the background before the retro harmonies kick in. "I'll Be Fine" is like a peaceful excursion into nature, enhanced by the sounds of chirping birds (and featuring Kenney's loon call). On Kenney's "Mother", the trio seem to have a jazzy blast, accompanied by the horns of special guest Christian Joao. Then there's the gossipy conversation the listeners get to hear preceding the exuberant rocker "Marietta", the contents of a "postcard from St. Louie" providing a jump-start to the number cowritten by Kenney and D'Agostino, the pair who also teamed up on the explosive title cut and "Sarah". "The ladies have become a whole different beast on this record," Kenney said in the release. "With this group, it's all about the feeling and telling these stories in a way that really makes you believe it." The trio also have their own side project called Not My Sister, who released an EP in January called When the Sun, She's Up Again that concludes with a wonderful rendition of Bill Monroe's "Kentucky Waltz". "It has eight songs we love singing and it's a real joy project for the three of us. We're currently focused on touring with Upstate, but hey … we're for hire ([email protected])," said Olender, who also still performs with Abigail Dempsey, her best friend from high school, in "a badass band" called the Rally Club. If Olender was the final element for the Upstate upgrade, she's too humble to lend credence to that notion. "This band was strong when I joined and they brought me a musically fulfilled life instead of me bringing anything particularly," she said. "They were incredibly generous with their time and patience as I learned the songs and the parts that the previous singer sang. We ended up changing a lot of parts, too, which was challenging and rewarding." That optimistic attitude even followed her from the Music City. "I really love living in New York now," Olender said. "I love to move in general. It comes very naturally to me. I hate the winter, though. … I now care about wearing wool and drinking tea, which I never did before. New York is probably good for me." Spoken like a true-blue crusader in an Upstate state of mind.